This FRIDAY I will be in Washington, DC at Howard University for a Trunk Show! 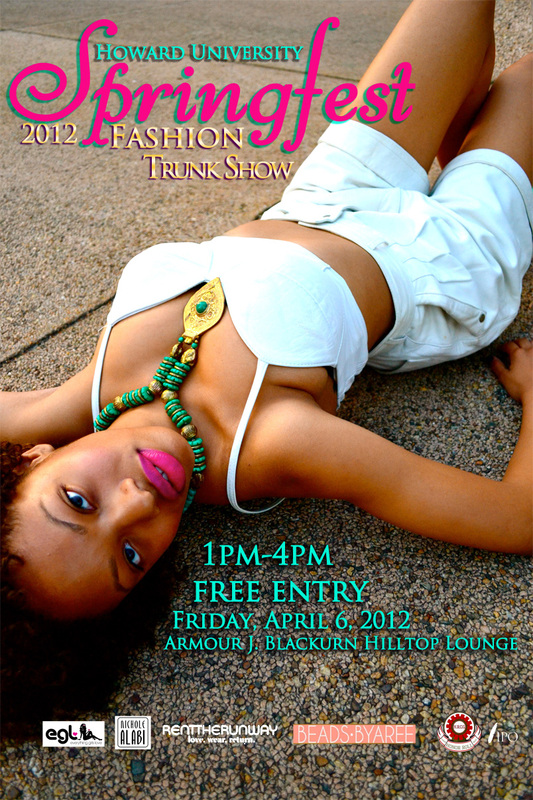 Howard University students have an annual event called Springfest which includes a much-anticipated fashion show. If Howard were a major city you could liken Homecoming to Fashion Week in the fall and Springfest to Fashion Week in the spring. This year, the student committee has added a Trunk Show to the event giving designers participating in the show an opportunity to sell their garments to students and other admirers. Though I am not participating in the show I am doing the trunk show! All the pieces that are currently being sold online for the Sample Sale will be available at the Trunk Show for an even more discounted price! The Trunk Show will be this Friday, April 6th on the main campus of Howard University at the Armour J. Blackburn Center from 1pm to 4pm. It’s open to the public and free to attend! Hope to see you there!